Progress rediagnosis and repositioning allow for better root positions. 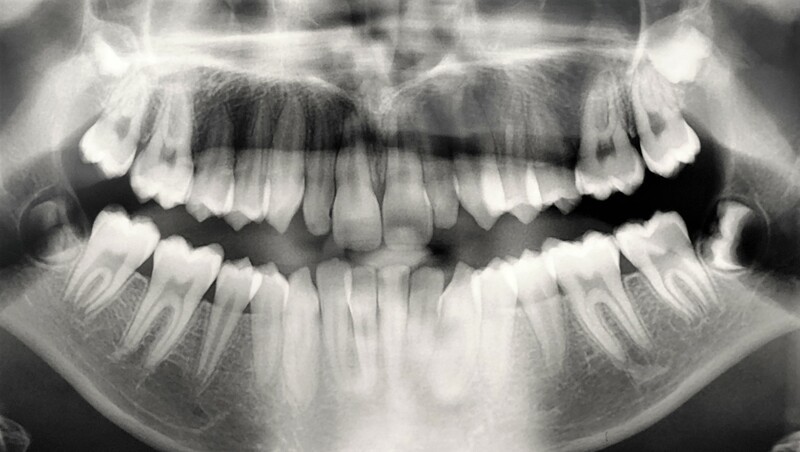 Progress re-diagnosis (repositioning appointment), uses progress X-rays to check the angles of the roots of teeth. We then remove and rebond the brackets in more favourable positions for uprighting roots. Healthy bone is important, bone supports the teeth. Loss of bone is the major cause for loss of teeth from middle age onwards, and tipped teeth angles are thought of as a risk to a tooth's vital bone support. After repositioning, contacts between neighbouring teeth are close to level, greatly reducing the risk of food getting caught between the teeth - therefore reducing the risk of decay, resulting in fillings, crowns and root canal therapies. We use gentle forces, considered better for the tooth roots. We position the teeth so the biting forces go down the long axis of the tooth preventing overloading in critical areas leading to bone loss.